Washington DC is a city that is rich in monuments and shrines. Apart from that, you can find countless museums that display arts and culture. Arts, antiques, American crafts, textile and more are much celebrated in this city. 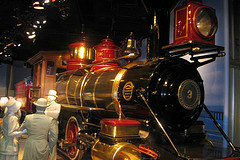 You can tour many museums. As an advice, it is best to see only the places that display the collections that interest you. Taking a tour at a museum is one of the best things to do in Washington DC. The entrance fee is minimal and some are even free. Here is a rundown of arts, galleries and museums that you might want to explore. 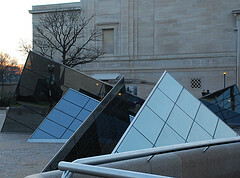 * National Gallery of Art – This museum presents masterpieces that were created from 13th century up to the present. One of the main features of this place is a masterpiece of Leonardo Da Vinci and comprehensive collection of paintings and sculptures from Italy. * Cyrus and Myrtle Katzen Arts Center – If you want to see another kind of art, then visit this center. They have performances and programs that include music, theater, dance, and art history. Its art collection includes the works of Pablo Picasso, Andy Warhol, Roy Lichtenstein and more. * National Portrait Gallery – This gallery showcases the pictures of the people who contributed to history of America. * Museum of American Art – This museum houses almost 40,000 pieces of art. Its recent addition includes sports figures and composers of the 20th century. You can also find a section for cultural and political figures of the last sixty years. * Ford’s theater – This is where you can enjoy programs presented by Washington Ballet, Shakespeare Theater, university performances, choir performances and regional theater. * Smithsonian Resident Associates – Here, there are cultural programs that take advanced planning. This is a place where you can find a list of seminars and lectures that revolve around the Smithsonian collections and mission. You can also find here the schedule of performances by the locals that share talents and insights. * Washington’s Embassy Row – Embassies are the places where you can find beautiful homes and places of businesses in town. Some of them often host events open for public. You can call the embassy of your choice ahead to find out about lecture, film, plays and concerts. Sometimes they offer wine and cheese reception. There is even a walking street tour that you can join where there are tour guides to answer your questions.